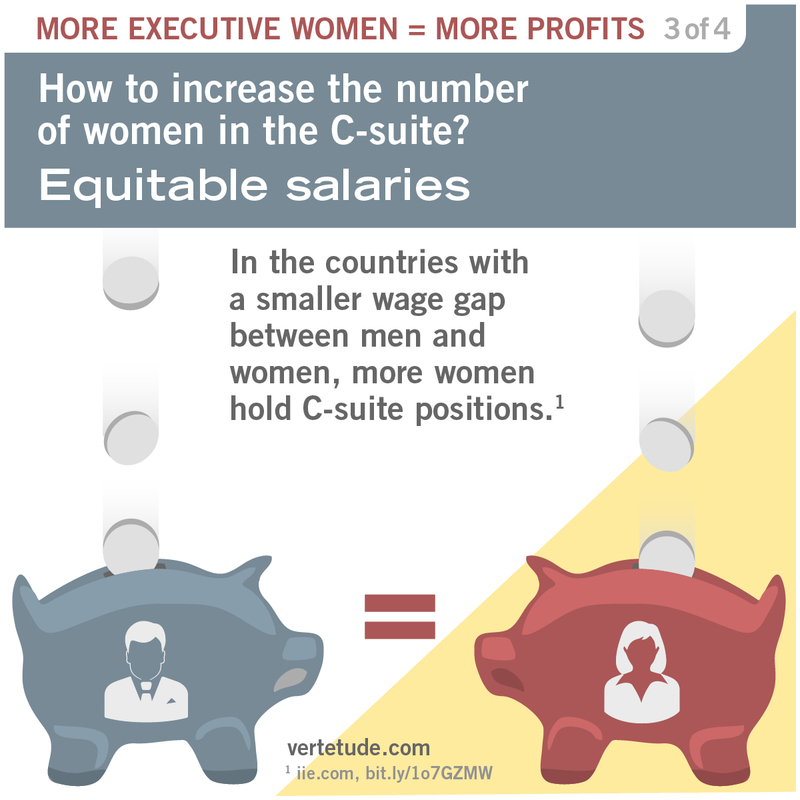 As a follow-up to last week’s infographic post, Power of Women in the C-Suite, we’ve created a second series to illustrate the factors that correlate with higher numbers of women in executive positions around the world. To learn more, see Paternity Leave Offers a Surprising Benefit to Women New Study Finds, and the global study from The Peterson Institute for International Economics, a nonprofit group, and the audit firm EY. The research found that family-friendly, gender-neutral policies like more paternity leave and pay equality are some of the factors that correlate with women attaining leadership roles. 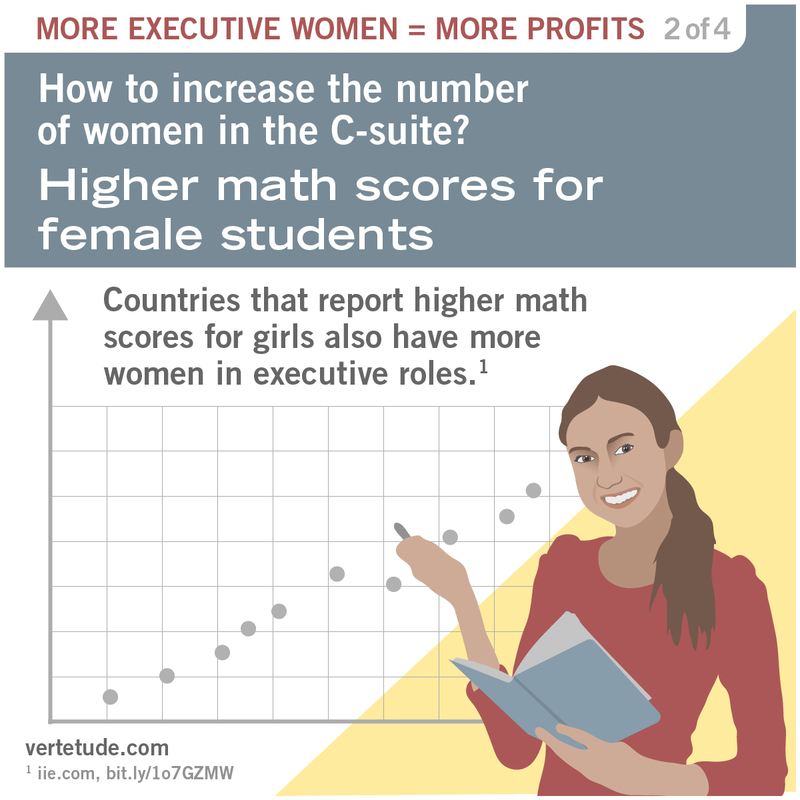 The study also shows that companies with a higher percentage of women in management roles tend to be more profitable. 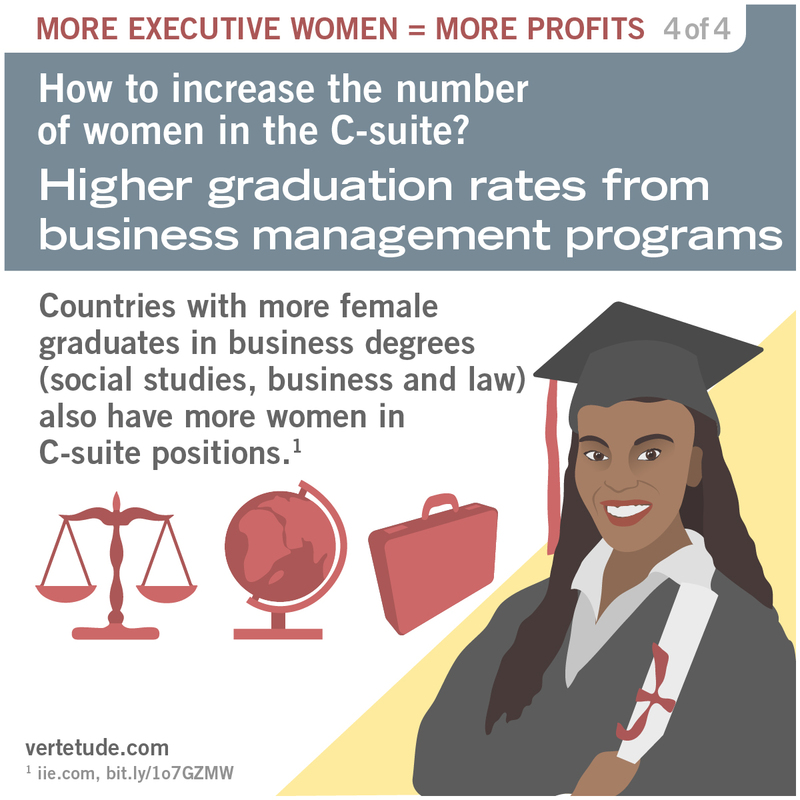 Higher math scores and higher graduation rates in business management degrees also correlate to higher numbers of women in C-suite positions. Conveying this important information succinctly and quickly through the power of mobile-friendly images makes it easier for the news to spread and for action to be taken. The Vertetude team harnesses the power of strong visuals and puts them to work to tell the story. What story do you need to tell?